Your FICO® score plays an important role in your financial health and decisions. Each time you apply for a credit card or loan, your potential loans and interest rates are based on your FICO® score. Understanding your FICO® score is key to making any serious financial investments. The Credit Review breaks down everything you need to know about your FICO® score: what it is, the different types of scores, how to improve it, and more. What Is A FICO® Score And Why Is It Important? Simply put, a FICO® score is a three-digit number used to show lenders how likely you are to pay back your debts. FICO® stands for the Fair Isaac Corporation. The scores created by them are made by using information from the three major credit bureaus: Experian, Equifax, and TransUnion. These bureaus use your credit file to create one different FICO® score per bureau. Every time the information in each of your credit reports changes, so does your score. Your score can change daily or monthly, depending on how often your creditors report any changes or new activity. Since each credit bureau has different credit information on you, your FICO® score will vary slightly. So why is your FICO® score so important? For starters, it's used by around 90% of the top lenders to make any credit-based decisions regarding your interest rate and terms on personal loans, credit cards, auto loans, or a mortgage. It also helps them determine if lending to you is a risk and how likely you are to pay it back. What Are The Types Of FICO® Scores? There are actually several types of FICO® scores. FICO® makes regular updates to the algorithm and each time it changes the scores update to the latest version of FICO®. Auto FICO® score: This score determines how likely you are to default on an auto loan or lease. Credit card FICO® score: This is used to determine how likely you are to default on a credit card. Installment loan FICO® score: This score is used to determine how likely you are to default on a large installment loan. Mortgage FICO® score: This score is used by lenders to determine how likely you are to default on a mortgage loan. Personal finance FICO® score: This determines how likely you are to default on a smaller installment loan. Like your regular FICO® score, these specific scores are also regularly updated. 800+: This is considered an exceptional FICO® score and allows you to have an easy application process to get new credit. Only 1% of consumers with this score are likely to become delinquent. While it is possible to have a perfect FICO® score of 850, only around 0.5% of consumers have attained this. Paying the entirety of your credit cards balances on time and not opening multiple accounts are good first steps to attaining this score. 740 to 799: This score is considered to be an excellent FICO® score and well above the average. Consumers with excellent credit generally qualify for lower interest rates on loans and credit cards and only around 2% of consumers with excellent credit will become delinquent. 670 to 739: This score is considered a good FICO® score and an average credit score. Around 8% of consumers with a good credit score will default on their payments and become delinquent. 580 to 669: This score is considered a fair FICO® score and below the consumer average. Borrowers with this score are more likely to default on their loans, with around 28% becoming delinquent. Being approved for loans and credit become more difficult and those who are approved have to pay much higher interest rates. 579 and below: Anything below 579 is considered a poor FICO® score and means you are more likely to be rejected for any credit cards and loans you apply for. You may also be required to put down a deposit for credit cards or utilities. Around 61% of consumers with a poor FICO® score become delinquent at some point in the future. Some consumers do not even have a FICO® score. In order to generate a score, you must have a certain amount of credit information available and at least one open account that reports to the credit bureaus for at least six months. As we mentioned earlier, your FICO® score determines whether or not you qualify for loans and credit lines. The exact number needed to qualify depends on the type of loan you are looking for. Auto loans: You need a minimum of 620 to qualify and a 740 or higher to receive the best interest rates. Mortgages: You need a minimum of 640 to qualify and a 720 or higher to receive the best rates. Low-interest credit cards: You need a minimum of 640 to qualify and a 720 or higher to receive the best rates. Lenders may also look at your financial history before making any final decisions on whether or not you are approved for a loan. For more information on the importance of FICO® scores, read our guide on how a good credit score can change your life. 35% is your payment history. The majority of your score comes down to paying your bills on time. Late payments will damage your score, and the later a payment, the more damage it will do. Late payments include bankruptcies and any accounts in collections. 30% is your amount owed, or how much debt you have in relation to your available credit. The less debt you owe, the better your score. 15% is the length of your credit history, which includes how long you have had credit and the average age of your accounts. 10% is new credit in your name. This includes recent applications for credit. A hard inquiry can reduce your score forby up to six months. 10% is having a mix of credit types. Revolving credit like auto loans, mortgages, and credit cards improve your score. The same criteria apply to other credit score models, although they are weighted differently. This means your FICO® scores and other credit scores will probably be similar. Factors that do not contribute to calculating your score include your age, gender, salary, race, religion, nationality, or marital status. However, when it comes to approving an application for credit, lenders may look at your income or job. Unlike getting your credit reports, you will have to order your FICO scores through the bureaus, a third party site, or Fair Isaac's site at MyFico.com. If you order your FICO® scores at Equifax, Experian, and TransUnion, you will have to pay $19.95 per score from each individual bureau. Each of your three scores will be different since your credit information varies with each bureau. Some banks and credit card issuers (including Bank of America, Citibank, and Discover) provide their customers with one or all monthly FICO® scores for free. If you acquire your scores through a third party, be sure that you are purchasing your authentic FICO® score. What Are Some Other Types Of Scores? Although FICO® scores are used by around 90% of lenders, there are other scores used to evaluate your credit report in a different way than FICO®. Another score that is becoming more widely used is VantageScore, which was introduced in 2006 by the three major credit bureaus to rival FICO® and create a more consistent and easy-to-apply scoring model. This score does not weigh paid accounts negatively. Late mortgage payments impact your credit more than other late payments. VantageScore takes natural disasters into consideration in the case you have been affected by one. VantageScore only allows you 14 days to shop for rates, as opposed to 45 days with FICO®. Both your FICO® score and VantageScore may be used by the same lender to determine your preapproval offers and final application approval. However, VantageScore is used more often if you have a short credit history, whereas FICO® is used if you have at least six months of credit history. The TransRisk credit score is based on information provided by TransUnion and can only be acquired through Credit Karma. The exact information factored into your TransRisk score isn't known and there aren't many benefits from using this score since it's not used by lenders or creditors. The best use for the TransRisk score is to track your credit over a period of time. Small businesses can also have their own FICO® scores called FICO® SBSS (FICO® Small Business Scoring Service), which tells financial institutions whether or not they are eligible for a loan. FICO® SBSS is one of the three main business credit scores and ranges from 0 to 300. Just like your individual FICO® score, the higher the score, the better your credit. This score is calculated by combining your personal credit history, business credit history, and other financial information like payments to suppliers and vendors. FICO® SBSS scores are used to prequalify businesses for loan terms and amounts, which can run as high as $1 million. If you are looking to improve your credit, you have a few options. First, you can aim to reduce your credit card balances (since having high credit utilization is seen in a negative light by creditors). Avoid late payments, which can result in a huge hit against your credit. You may also consider taking out a credit-builder loan, such as one offered through services like Self Lender. While you can't spend the loan funds, it shows creditors that you are serious about improving your financial health. 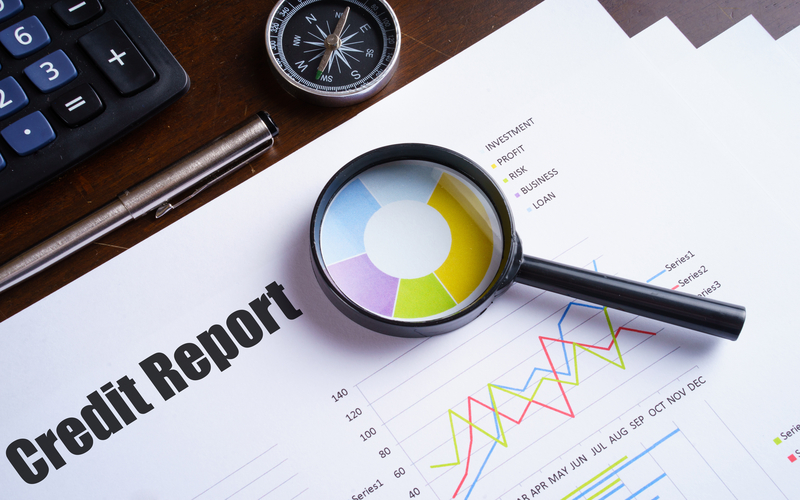 Finally, check your credit report to see if there are any erroneous items that are damaging your score. (You can get your credit report through a credit monitoring service or receive one free copy a year with www.annualcreditreport.com). Look for incorrect items such as late payments that were paid on time, multiple accounts for the same debt, wrong amount of debt, and incorrect listings. You can dispute these yourself or look for a reputable credit repair company to improve your credit score.